I love a good horror film. Well when I say that I love them, I actually mean that they terrify me, but in a spine-tingling, chillingly good way. I’d like to believe that my abject sense of fear is down to my vivid imagination rather than the fact that I’m a behind-the-sofa-hiding wimp. I tell myself that with a decent imagination it’s easier to put yourself in the main character’s shoes and get firmly in the moment. This logic means that of course it’s only intellectually inferior people that don’t get scared by horror films. Clearly. Based on the aforementioned logic then it’s obviously some highly intelligent folks who were left terrified by a brilliant stunt promoting a new horror film called Devil’s Due. The team behind it, making use of some excellent animatronics, created an extremely lifelike baby sitting in a pram. But the sprog wasn’t your average cutesy bag of skin that has people cooing over it in the street. The end result was the stuff of nightmares that bore more than a passing resemblance to that monstrous childlike icon of horror; Chucky. The stunt involved leaving the pram unattended on the streets of New York. Concerned passers-by who approached to check on the welfare of its occupant were in for a shock as the “baby” sat bolt upright screaming and vomiting, with the pram also seemingly moving of its own accord. The infant was disturbingly realistic and the majority fled in terror. Apart from one hardy street cleaner that is, who merely stared at the spewing new-born with a blank expression suggesting he’s seen far worse horrors in the course of his working life. The fact that he was so unperturbed was probably the most disturbing part of the whole stunt. There’re a few dishonourable mentions in the bad PR section this week. 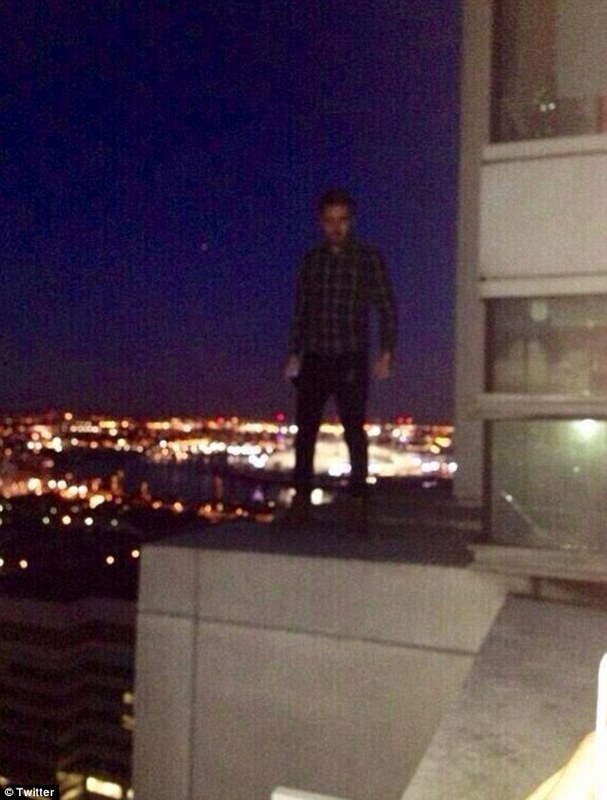 Liam Payne, one fifth of the boy band One Direction, has been in the news for allowing himself to be photographed stood on a ledge of an apartment building over 300ft up. This in itself is a pretty idiotic thing to do, but bearing in mind he’s a role model to millions of young fans across the globe, the idiocy quickly multiplies. Particularly when the picture soon found its way onto Twitter. Now I don’t think thousands of 1D fans are going to be leaping onto balconies and ledges to emulate their hero but it’s not a great impression to give. The “musician” has since apologised. I do sympathise with the fact that he’s a young man getting up to the things that young men do and sometimes the scrutiny from the spotlight of fame is too much. But then I remember that he’s also minted, so my sympathy only goes so far. While people have done far worse in their time, it’s still a silly thing to do. In other news, iTunes has had to withdraw an app promoting plastic surgery among children. Named the Plastic Surgery & Plastic Doctor & Plastic Hospital Office for Barbie Version (who came up with that corker? ), the app is aimed at children as young as nine, allowing them to “sculpt” a cartoon version of Barbie using scalpels and syringes in the manner of plastic surgeons. Nine year olds … what is the world coming to?! It’s clearly inappropriate and has been taken down by Apple following thousands of tweets complaining about its content following it’s exposé by the women’s rights group Everyday Sexism. Not so much bad PR here as a bad idea all round. This week I’ve also been struck by the furore surrounding French President Francois Hollande. His private life has been all over the world’s media following news of an alleged affair with a French actress. The whole thing has been fascinating due to its highlighting of the difference in attitudes between the British and French. The approach in France seems to be very much in favour of the president being allowed to keep his private life private. If the shoe was on the other side of the channel (so to speak), things would be very different. Could a British politician withstand such a scandal? No chance. British press would argue the fact that voters have the right to know about “private” issues affecting the judgement of the prime minister. Not so in France it would seem. During a press conference held last night, Hollande was treated with deference by the French media, who barely touched on the rumoured affair, only making one or two tentative references. Nevertheless, the whole affair is still bad PR for Hollande, who’s already flagging in the French polls. The matter has served to demonstrate that despite there only being a small stretch of water between us, there’s clearly a vast difference in cross-Channel attitudes, which in truth I find pretty beguiling.